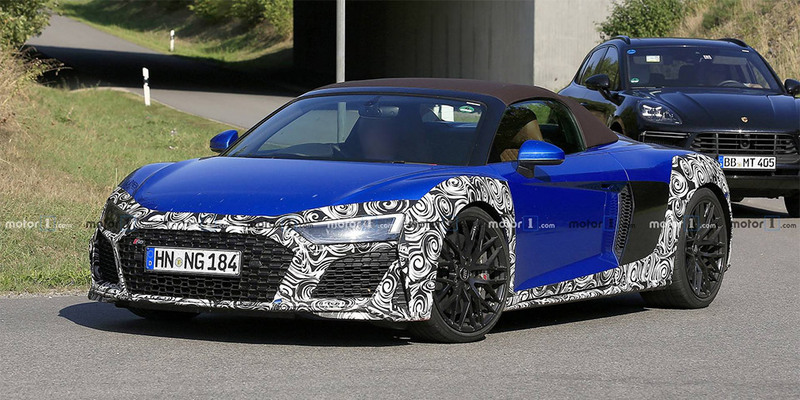 For an updated version of R8 Spyder begin new road tests. On the eve a novelty like a test prototype recorded in Germany. The roadster should debut at the end of 2018 or in early 2019. Motor1 informs that the supercar will slightly change a shape of the optics, plus other bumpers, exhaust manifolds, and an improved rear diffuser are expected. Nothing is known about the power unit of the novelty. The current supercar of the top performance Plus is driven by a 5.2 liter V10 atmospheric at 610 "horses" with 560 Nm.